You might have heard of the notion of open data. I’m very happy to have been involved with something that, I’ve just realized, is now at last available to the world – the new data portal for the Municipality of Porto: dadosabertos.cm-porto.pt. My role has been merely on the software development side of things, but I do hope that society (citizens, industry, press) find these and future datasets useful. The most rewarding for me, in this project, is having contributed to something based on values that I hold so dear, such as transparency and democracy. In the meantime, I have moved on to other projects, but I have high expectations on the success of this one over the next months, as more datasets are made available. The Open Knowledge Foundation runs a webpage to track the state of government open data, which is great to put things into perspective. It puts Portugal in position #39 (2014 data), and gives an interesting overview by municipality of the datasets that you may expect to find out there. In case you’re wondering, for Porto’s data portal we have used CKAN, and the source code is available on github. I haven’t written in this blog for quite a while now, but wow, 2012? Has it really been that long? The reason, to a great extent, has been the writing of a certain PhD thesis. But I’ve finally finish that back in May, so I might find myself again in the mood of writing here more often. Stay tuned. That’s about it. Really. 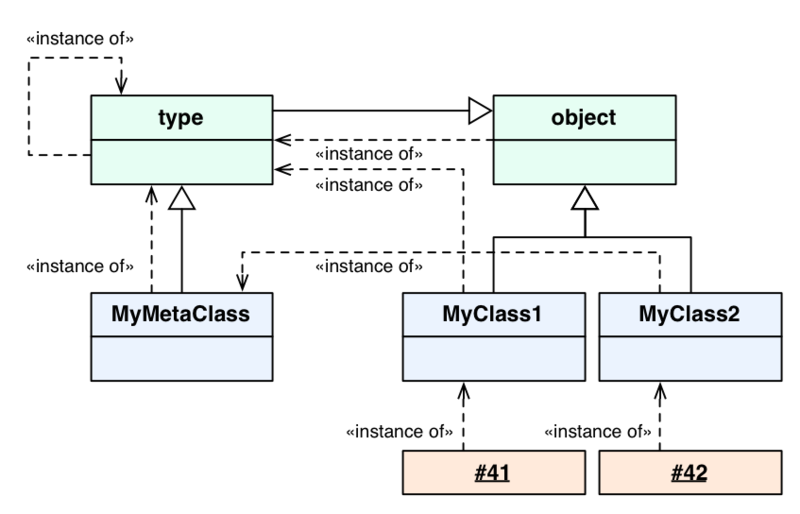 Ok, I’m leaving out some of the details, but the oficial docs provide the full story, and this stackoverflow thread makes a great reading if you are looking to know more about metaclasses. 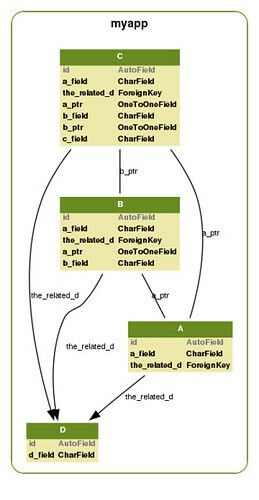 Edit: Added a couple of instances to the diagram too. I stumbled on this 2002 essay by Guy Steele, and it felt more current than ever. Definitely, go read it if you’re interested in the topic. Yes, it’s just around the corner. The second edition of the Portugal-located conference on Agile Software Development is two weeks away. We are going to great lengths to bring you a great program, with huge names in the world of software development. This blog has faded away, and twitter sort of became my voice to the world, but I have no intentions of closing it down just yet. As some say, hope is the last to die, which might explain why I still believe I will manage to post here some thoughts over the next months. But the last few weeks, my mind has also been somewhere else. 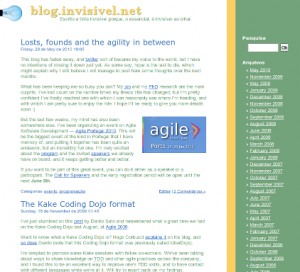 I’ve been organizing an event on Agile Software Development — Agile Portugal 2010. This will be the biggest event of the kind in Portugal that I have memory of, and putting it together has been quite an endeavor, but an incredibly fun one. I’m very excited about the program and the invited speakers we already have on board, and it keeps getting better and better. If you want to be part of this great event, you can do it either as a speaker or a participant. The Call for Speakers and the early registration period will be open until the next June 5th. Today I’m going go to sleep with this song on my mind (read it thinking on the melody of On the First Day of Christmas). Credits: Not sure who the author is, but Charles Weir has compiled a very fun song sheet of EuroPLoP conferences which I recommend to all the PLoPers out there.